Hands down, the best part about beekeeping is the honey. There’s nothing like the first sample of the season, a flavorful accumulation of all the hard work you and your bees put in. But now that the honey has been made, how do you get it out of the comb and into a jar? Read on to learn how to harvest honey as we share some of the best Honey Harvesting techniques to ensure a perfect match. Just like any other time you’re working on your hive, you will need to wear protective clothing when looking to harvest honey. Bees can become agitated as you pull the frames out from their hives, so it’s best to make sure you are covered head to toe when removing frames. Along with protective clothing, you’ll want to keep your smoker close at hand. This will help keep the bees calm during the extraction process. You also need the hive tool to help pull frames from the hive, as well as a bee brush to gently sweep bees off the frame. To extract the honey, beekeepers should invest in a honey extractor. 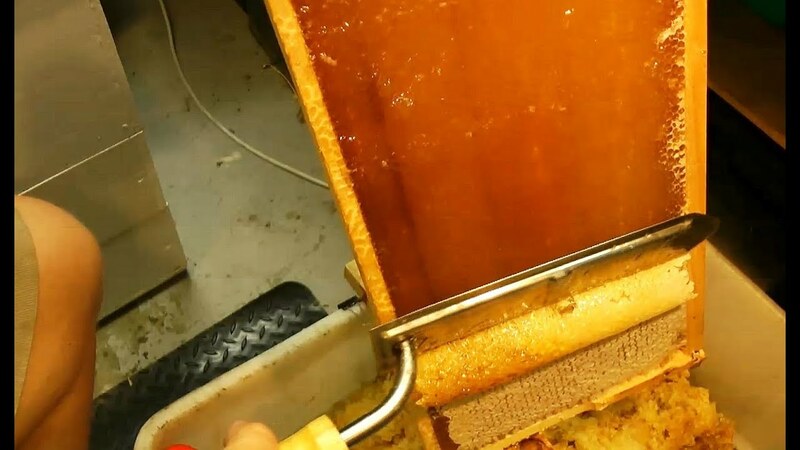 While there are other ways to pull the honey from the comb, extractors will allow you to harvest honey quickly and efficiently. It may also be wise to purchase an uncapping fork, which is used to unseal honey cells. Start by firing up your smoker and giving your hive a once over to pacify the colony. Remove the outer and inner covers to access the hive frames. Use the smoker once again over the exposed hive before pulling out any frames. There are a few signs that will tell you when to harvest honey from your frames. 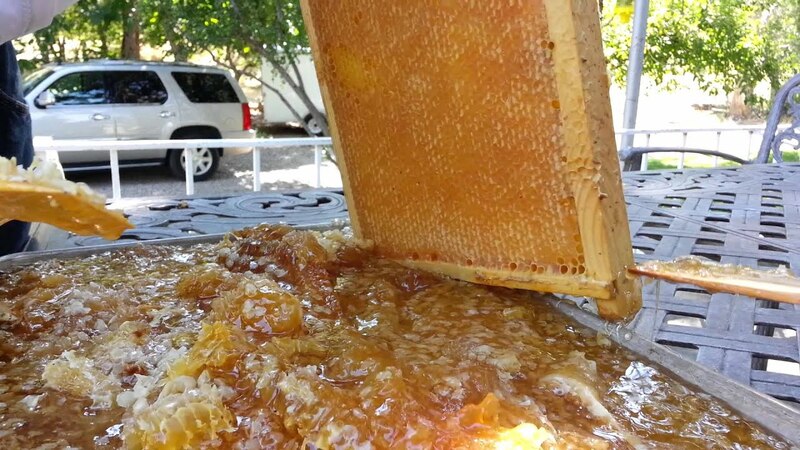 Look for frames that are filled up with about 90 percent of capped honey cells. Frames with uncapped cells are likely nectar that hasn’t yet been harvested and should be avoided as much as possible. A fully capped frame can hold an average of 6.5 lbs. of honey that can be harvested. Once you’ve found all of the frames ready for harvest, use your bee brush to gently brush the bees back into the hive. Transfer the frames into an empty box away from the hive, making sure to cover it with a blanket or towel to keep the bees away. Once you have removed the honey-filled frames from the hive, it’s time to uncap the cells. This will allow the honey to pour out of the frame to be harvested. There are a few methods to uncapping cells, though the most popular involves skimming a heated knife along the frame edge to quickly remove the wax. Leftover caps can then be individually removing using an uncapping fork. Carefully place the uncapped frames into your extractor before starting it up. The extractor will spin the frames in a tight circle, which forces the honey out onto the walls of the drum. The honey then drips to collect at the bottom, where a spigot can be turned to release the honey. Before opening the spigot, grab a strainer or cheesecloth to catch any bits of wax or other debris that may have gotten mixed in. If you do not have an extractor, there are still other ways to collect your honey. You can either place the uncapped frame in a bucket to let the honey slowly ooze out, or cut out the comb to be strained. Both can be an extremely messy process, so be sure to do it in a clean area closed off from your hives. The final step in harvesting your honey is to jar is for sale or storage. Start by collecting all of your honey into a clean, food-grade bucket. 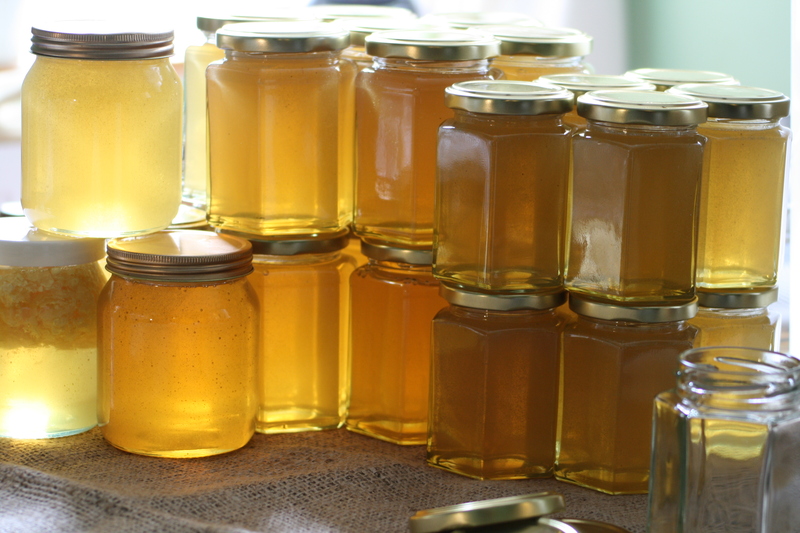 Honey is best stored in glass jars or bottles, so be sure to stock up before the honey harvest season starts. Carefully pour the honey into the glass container, using a funnel to ensure the honey only drips into the intended container. Honey can be stored just about anywhere without the risk of going bad. Cooler temperatures can cause the honey to crystallize, though this doesn’t affect the edibility of the honey. The most important thing to keep in mind when storing honey is to make sure the container tightly sealed to keep out any moisture. Moisture can cause harmful bacteria to grow, which spoils the honey.